Cheap cuckoo clocks with great discounts as well as reduced Black Forest Clocks at a special price. A cheap price for original cuckoo clocks made in Germany does not mean that you have to expect less quality. For clocks at this price you get our accustomed and valued original Black Forest quality. These Black Forest Clocks are not reduced factory "B" stock items, Outlet products or used Cuckoo Clocks. These are simply price-reduced original products which you can get for adiscount price. 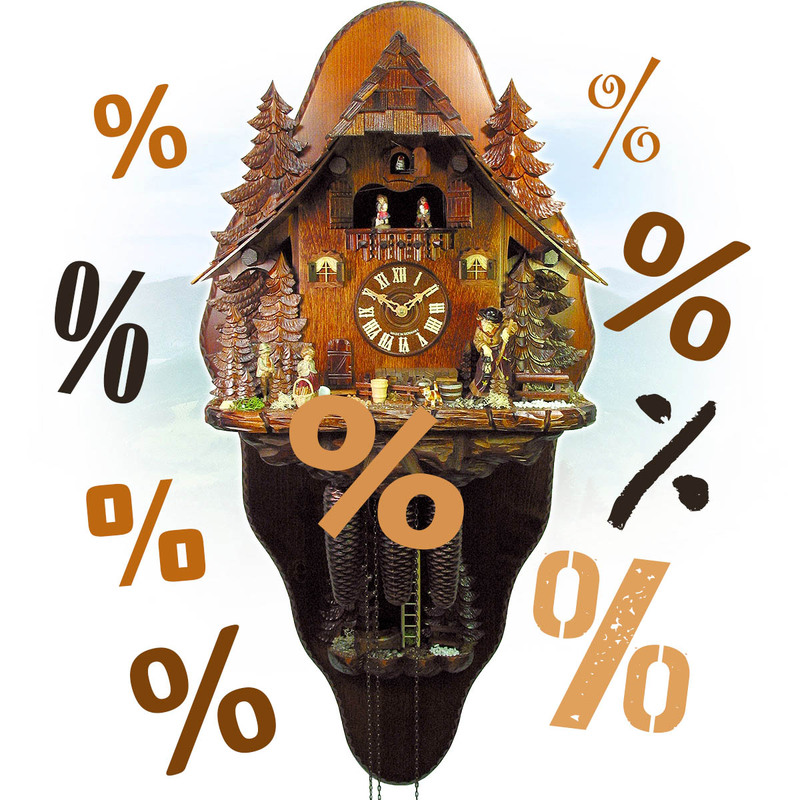 Reduced cuckoo clocks from the Black Forest. Buy now!